First of all, the 22-year-old forward seemed to receive a warm ovation from the crowd, but a smattering of boos could definitely be heard once he hit the ice. Nylander drew a Niklas Kronwall holding penalty and had a couple shot attempts blocked, but otherwise didn’t get a whole lot accomplished in 12:29 of ice time — the 10th-lowest total of his 186-game NHL career. Both Kasperi Kapanen and Andreas Johnsson both received more ice-time with 17:26 and 14:05 respectively. Not a game to remember. 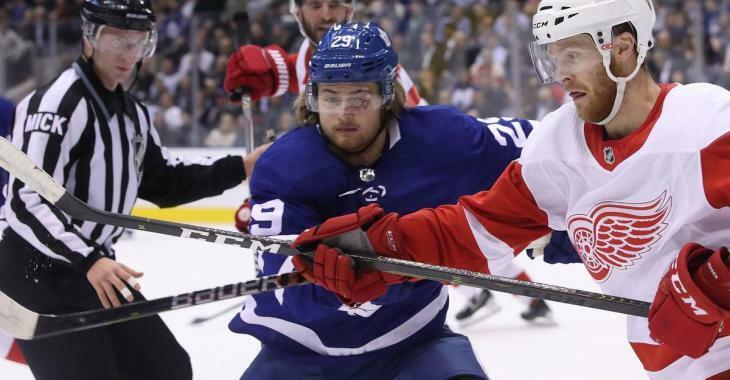 However, after the 5-4 overtime loss at the hands of the Detroit Red Wings, Maple Leafs head coach Mike Babcock stunned everyone with his post-game comments, explaining how he should be blamed for Nylander's performance. "I thought Willy was fine," said Babcock candidly after the loss. "It was probably unfair for me – we had the bus thing that happened, we were supposed to practice together, we never even gave the guy a practice. We wanted to get him in. You’ve got two guys on that line, one coming back from injury [in Matthews] and one who hasn’t played." "He had an opportunity we felt to get going, we tried to get going. It has nothing to do with Willy; it has to do with me wanting to win the game." "I wanted him to play a ton. I just want to get him out there and get him going," said Babcock. "Any time you’ve missed that amount of hockey, it’s going to be hard for him. But I talked to [Matthews] about that, too. They’re both going to have to do extra. We’re going to do it every practice day and they’ll crawl their way back to being the players they’re capable of being." Nylander made similar comments to the media members, stating he is looking forward to practising more than once alongside his teammates in the near future. "It felt okay. There's a lot of different from practicing by yourself. I started feeling better. Legs were okay. Felt like it was an okay first game." It will all get back on track, Leafs fans.